Strong partnerships and persistence pay off for Ethiopia, the latest country to eliminate maternal and neonatal tetanus (MNT). 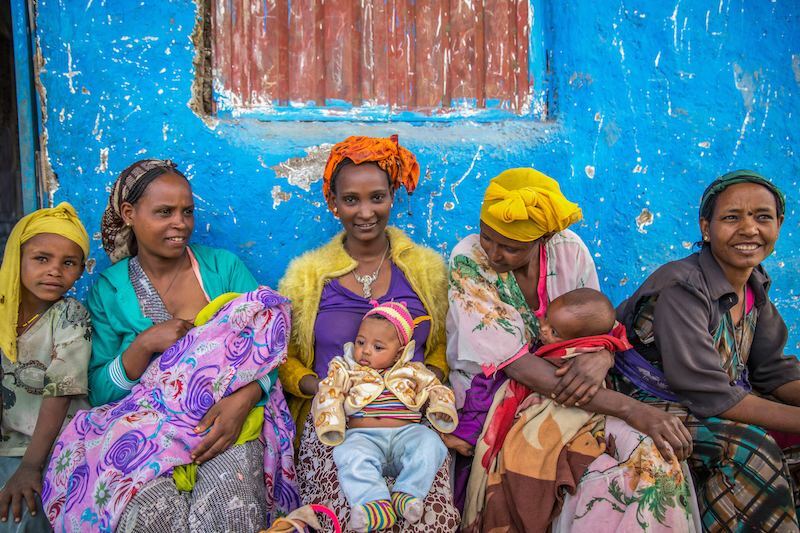 Ethiopia just became the 42nd country to eliminate maternal and neonatal tetanus since 2000. This achievement marks another milestone in the global campaign to end this cruel disease, which is almost always fatal in infants. Health officials validated Ethiopia's new status following a comprehensive review of community health programs and practices and survey data indicating that women and children are no longer at risk. Unlike smallpox or polio, MNT cannot be eradicated — it is caused by exposure to tetanus spores, which naturally occur in the environment — but it is preventable. Once a woman receives a full three-dose course of the tetanus vaccine, the protection passes on to her future babies. The elimination of MNT in Ethiopia was hard won, particularly in the Somali region, where protracted drought and related emergencies made it difficult to reach women living in remote areas with the necessary vaccines, and MNT cases continued long after the disease had been halted in the country's other provinces. The Somali local government's "leadership, persistence and wide partnerships" helped turn things around, according to UNICEF Representative Shalini Bahuguna. Dr. Kebede Worku, Ethiopia's State Minister of Health, said his department would "integrate maternal and child health services with other public health priorities" to ensure that Ethiopia remains MNT free. The effort to make sure all areas met the requirements for validation also underscores UNICEF's equity approach, and longstanding commitment to delivering lifesaving assistance to the hardest-to-reach populations. A new UNICEF report, Narrowing the Gaps: The Power of Investing in the Poorest Children presents compelling new evidence that this approach is paying off. In 2010, Kiwanis International and UNICEF joined forces to help eliminate MNT worldwide. This historic initiative, The Eliminate Project, aims to put an end to the centuries-old disease, which continues to steal the lives of thousands of mothers and newborns each year. MNT is often contracted during childbirth as a result of unhygienic delivery practices. Newborns who contract the disease typically die a slow, painful death. There are 17 countries still working to eliminate MNT within their borders. You can help support these efforts.